Home Knowledge Centre Blog Employee Conduct Should employers have a vaping policy? Should employers have a vaping policy? With the fast evolution of technology, some workplace policies may become outdated. In order to keep their workforce under control, employers should regularly review, amend and update their policies. Some employers may find that any smoking policies they have do not include anything about e-cigarettes. Vaping is rapidly on the increase and according to Public Health England (PHE) research as many as 2.8 million adults use e-cigarettes. This is a significant number, and PHE has issued guidance and recommendations urging employers to bring in e-cigarette policies or incorporate vaping in current policies on smoking within the workplace. Employers should decide whether they want to introduce policies to control vaping on the work premises within working hours. If, as an employer, you decide that you do, then you should elect whether you want to treat vaping in the same way as smoking. PHE recommends supporting employees who choose to vape by assigning them a separate vaping area to the smoking area, so that smokers trying to quit find it easier. Whether you choose to control vaping or not, you should consider the views and comfort of all your staff: smokers, vapers, and non-users. 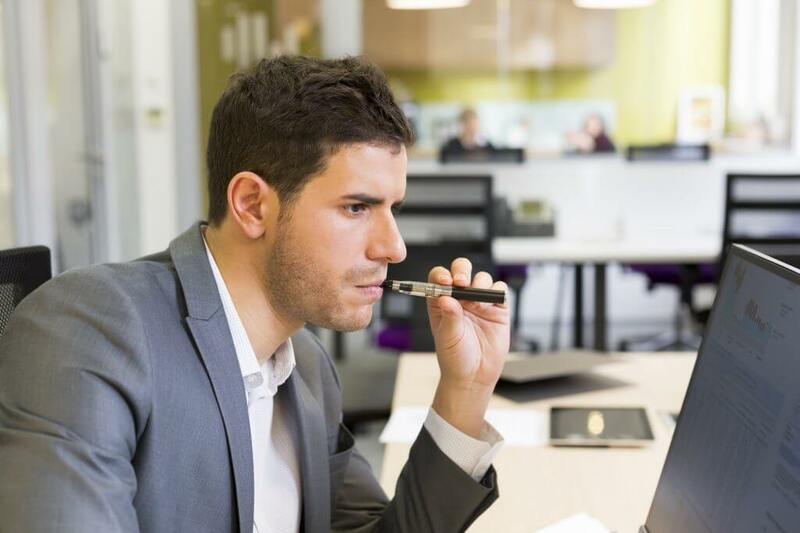 If you choose to allow vaping freely, that may be at the cost of non-users’ comfort and may not be practicable in certain workplaces, such as an office. Make a distinction between smoking and vaping and make sure that the policy sets rules on both practices. Consider bystanders, and non-users and their comfort. Ensure smoking/vaping areas are not in close vicinity. Adapt your policy to limit exposure and uptake of vaping by children, young people or young workers, e.g. if the role involves working with children your policy may ban smoking and vaping in their view. Conduct fact finding investigations if you receive allegations of smoking in breach of legislation, as some e-cigarettes can be easily mistaken for cigarettes.